Taxpayer help for first-time homebuyers may be coming to an end. With the housing market still fragile, lawmakers and lobbyists alike are pushing Congress to extend two temporary measures aimed at boosting sales. One of these, continuing higher limits for so-called conforming loans in high-cost areas, appears to be on a glide path for approval by the end of the year. But the other, an $8,000 tax credit to first-time homebuyers, set to expire Dec. 1, will be a much tougher pitch to make on Capitol Hill. It’s already cost taxpayers $15 billion, and adding to that price tag will not be popular at a time when Americans are increasingly worried about growing deficits. Still, the idea of an extension has support from top lawmakers, including Senate Majority Leader Harry Reid (D-Nev.), who recently endorsed a bipartisan bill to extend the existing tax credit for six months. Reid called the bill — sponsored by Sens. Ben Cardin (D-Md. ), John Ensign (R-Nev.) and others — an “important tool to help stabilize the housing market.” Nevada suffered the worst of the housing bust and is expected to take much longer to recover than the rest of the country. “This remains a top priority for Sen. Reid, and we are examining the best way to get this done,” spokeswoman Regan Lachapelle told POLITICO. Supporters of extending the credit say it’s important that the federal government not pull the rug out from under the housing market just as it’s starting to get back on its feet. 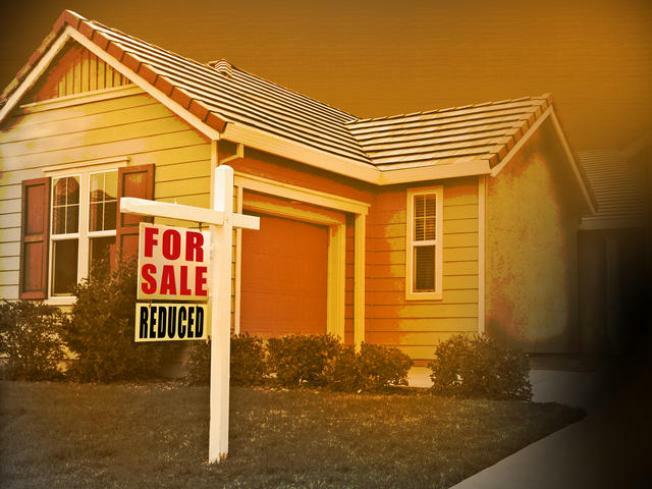 “Congress: Don’t Let America’s Real Estate Recovery Expire,” urged an ad last week by the Mortgage Bankers Association, the National Realtors Association and the National Association of Home Builders. The groups want a one-year extension. The coalition says the tax credit is working, citing statistics that show home sales to first-time homebuyers grew 25 percent in 2009 so far and now make up half of all home sales. The Realtors say the tax credit drew 350,000 new buyers into the market who otherwise would not have bought a house. Cardin’s office cites Treasury data showing that around 530,000 people have applied for the credit. Extending the credit would ensure the early signs of recovery aren’t killed off, which could hurt the overall economy, supporters say. In fact, housing industry groups would prefer to see Congress expand the credit to all homebuyers, not just first-timers, and bump the tax credit up to $15,000, as Sen. Johnny Isakson (R-Ga.), a former Realtor, has proposed. Isakson — the original proponent of using homebuyer tax credit to stimulate the economy — also wants to do away with the income caps his colleagues inserted with the $8,000 version of the bill the president signed in February. But a number of housing experts have come out against extending the tax credit, arguing that it is poorly targeted and not worth the enormous cost. In a paper posted on the Web last week, Brookings Institution economist Ted Gayer wrote that more than 85 percent of the 1.9 million buyers who will use the credit would have bought a house without it. “This suggests a price tag of about $15 billion — which is twice what Congress intended — for approximately 350,000 additional home sales. At $43,000 per new home sale, this is a very expensive subsidy,” he concluded. The other change being pushed by the housing lobby is far less controversial but no less important, experts say. As part of the stimulus, Congress approved higher limits on the size of loans mortgage finance giants Fannie Mae and Freddie Mac could purchase, as well as the size of loans the Federal Housing Administration could insure. Those temporary limits are set to expire at the end of the year. The problem: Those three government entities are providing most of the mortgage financing to the market, and to take away the higher limits could cramp an already tight market. For instance, the FHA’s share of mortgage applications has skyrocketed to 31 percent, according to the most recent numbers from MBA. In August 2005, the government-insured share was a mere 5.8 percent. “The general view is that the housing market is not stabilized enough to have them go away, because pretty much the [government-sponsored enterprises] and FHA are the predominant backers in the secondary market,” said Paul Leonard, vice president of government affairs at the Housing Policy Council of The Financial Services Roundtable. The House passed an extension of the higher loan limits, often called “conforming” loan limits, as part of its 2010 transportation and housing appropriations bill. The Senate did not, but lobbyists say the higher limits have bipartisan support in the Senate and are expected to be part of the final bill hammered out by the House-Senate conference.